Sometimes I struggle with titles for my articles. For Korora all I could think about were the Kia-ora adverts from the 1980s that had the tagline “I’ll be your dog”. The Little Penguin (Eudyptula minor) is the smallest species of penguin. subspecies), is found on the coastlines of southern Australia and New Zealand, with possible records from Chile. Apart from Little Penguins, they have several common names. In Australia, they are also referred to as Fairy Penguins because of their tiny size. In New Zealand, they are also called Little Blue Penguins, or just Blue Penguins, owing to their slate-blue plumage, and they are called Kororā in Māori. This is a website about Linux and therefore I am going to focus no further on penguins and adverts for a soft drink not seen in many a year. 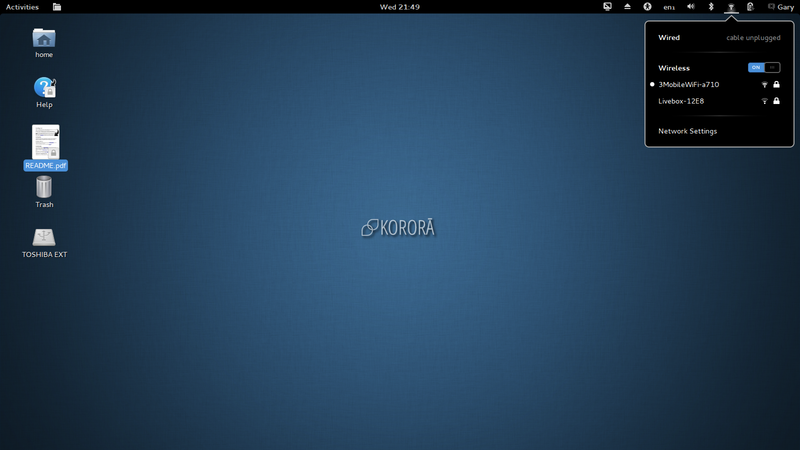 So in Linux terms what is the Korora project? computing system that “just works” out of the box. I copied that quote directly from the Korora Project website and therefore the basis of this review is to determine whether Korora meets it’s objectives. I have already written a review about Fedora and I mentioned that the Fedora installer “Anaconda” has received some negative feedback. At the time I was a little less critical about the Anaconda installer than some of my fellow bloggers. My opinion has changed. Everything works well until you get to the point of partitioning. The developers of the Fedora (and therefore Korora) installer could do themselves a favour. Copy the installer from other projects. 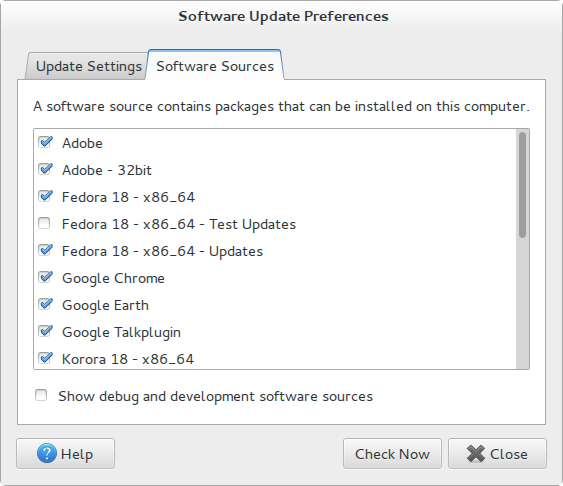 I am all for choice but it is quite clear that the Ubuntu installer works incredibly well and the Fedora one doesn’t. I ended up using GParted to create my partitions and even then I had issues getting Korora to map the partitions I had created to the partitions that Korora requires to run. The above video shows you how to install Fedora and this is very similar to the Korora install. The main thing to note is that the video shows how to install into a virtual machine and therefore a blank disk. Installing onto a computer that had any other kind of disk setup to begin with, is a much trickier experience. The one piece of advice I would give anyone is to get your disks ready prior to running the installer by running GParted from the live session of Korora. I decided to choose the Gnome version of Korora and therefore the first boot brings up the standard Gnome 3 desktop with a taskbar at the top, a few icons on the left hand side and that is about it. The wallpaper is a fairly plain blue colour (Korora – little blue penguin) but this is easily changed. The taskbar has an “Activities” button (which brings up the menu) on the left side and on the right side there is a system tray with the following icons. Next to “Activities” is an icon that brings up a list of places such as home, documents, pictures, downloads. Clicking on “Activities” brings up the main Gnome dash. 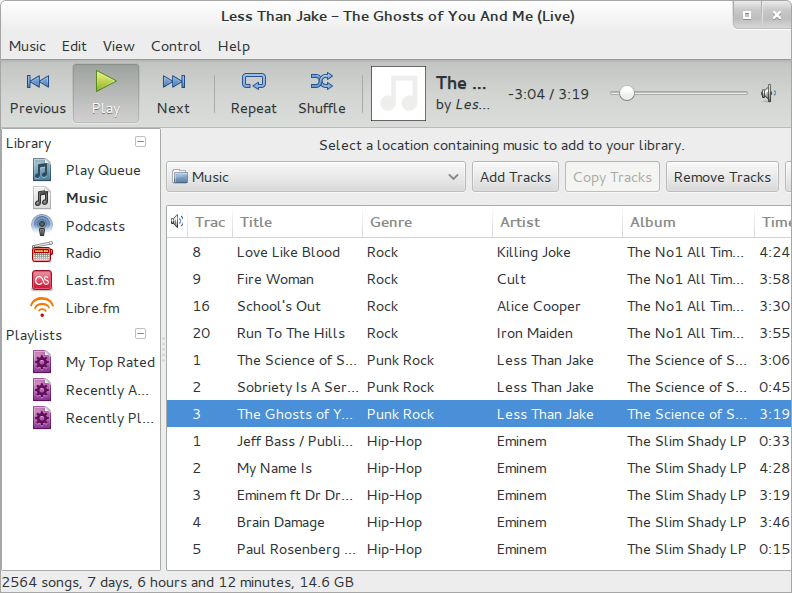 On the left side there is a list of favourites and by default these are Firefox, Evolution, VLC, Shotwell, Libre Office Writer, File Manager and “Show Applications” which brings up a screen similar to the one shown above. 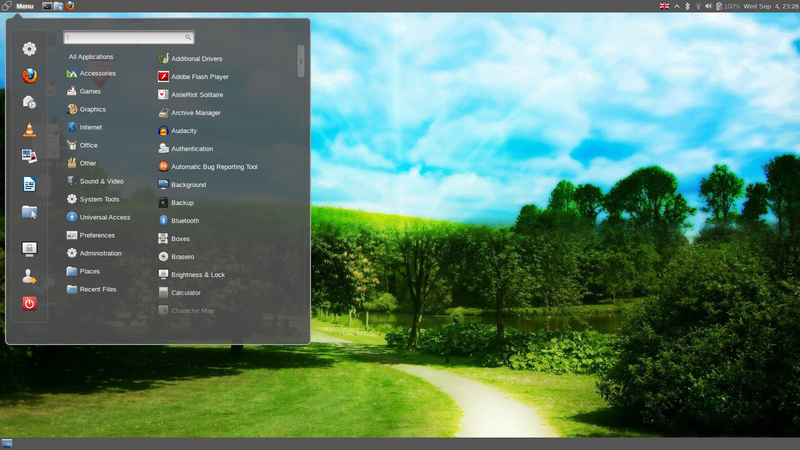 To narrow down the list of applications you can choose any of the categories on the right hand side. Connecting to the internet is straight forward. Simply click on the network icon and if you have any wireless networks available they should appear in the list. Clicking on a wireless network brings up the security dialog. Enter the key and Bob will be your father’s brother (or in my case my father). The default browser in Korora is Firefox. My initial thought after reading the “readme” was that I would probably have to install Flash myself but I decided to try Youtube first and was surprised to see that Flash did indeed work out of the box. Likewise I was fully expecting to have to install the GStreamer plugins to get MP3s to play but upon loading Rhythmbox I was pleasantly surprised to find that all my songs played without having to pfaff around. Korora comes with a full range of applications which complement the aims of the project which is to make an easy to use operating system that works just out of the box. Under accessories there are all the tools you would expect including a disk manager, text editor, screenshot tool, contact manager and calculator. There is an education menu but there are no items installed under that section. The games section has about 15 games and more importantly Steam is installed. 2014 is going to be the year of Linux gaming. 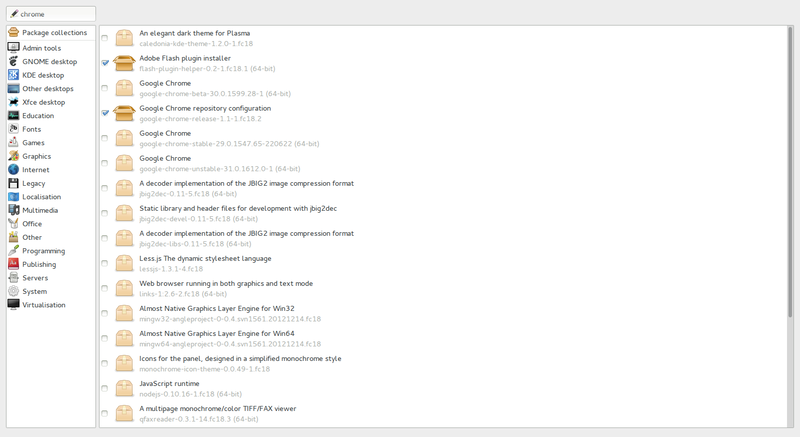 The graphics section has GIMP for image editing, LibreOffice Draw, Shotwell photo manager and a scanning application. The internet section has the Firefox browser, Evolution for email, Boxes for virtualisation, Ekiga Softphone, Empathy, Remote Desktop and Gwibber for managing online accounts such as Twitter. Under the office section there is the full LibreOffice suite and a project management application called “Planner”. The sound and video section has a whole host of applications including Rhythmbox for audio, VLC for video playback, Audacity for audio editing, Sound Juicer to rip music from CD, Brasero for disc creation and Cheese for accessing the webcam. The above list is just a subset of the applications installed. There are loads more. The graphical tool for installing applications is called Package Manager. The Package Manager is launched from the System Tools menu by clicking “Software”. The first thing that you should do before installing software is to go to the software sources and update the repositories. Once the repositories have been updated you can search the package manager for the package you wish to install. There are a list of categories down the left side and the applications appear in the right side. It is a fairly easy to use tool but I did find that it lagged a bit when searching. (A message appears in the top corner which reads “Waiting in queue”). 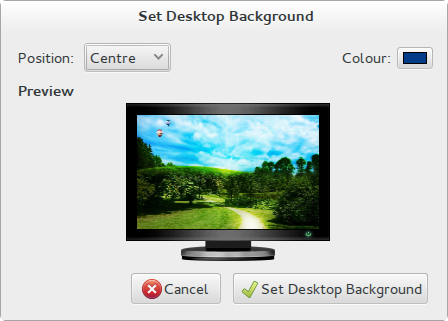 The easiest way I found to change the background wallpaper was to find the image I wanted to use online and then select “set as desktop background”. 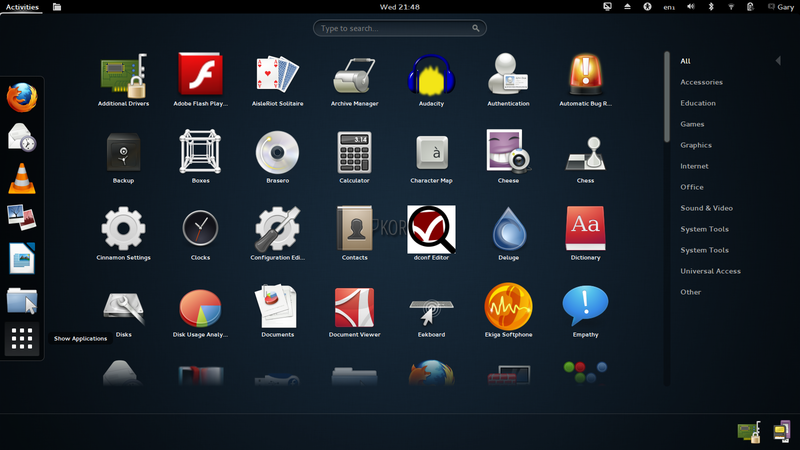 For those of you who like to customise, the Gnome Tweak tool is installed which means you can change the themes, icons and behaviour of the Gnome desktop. At this point I was expecting to be writing the summary but when I logged out I noticed that there were other desktop environments available. 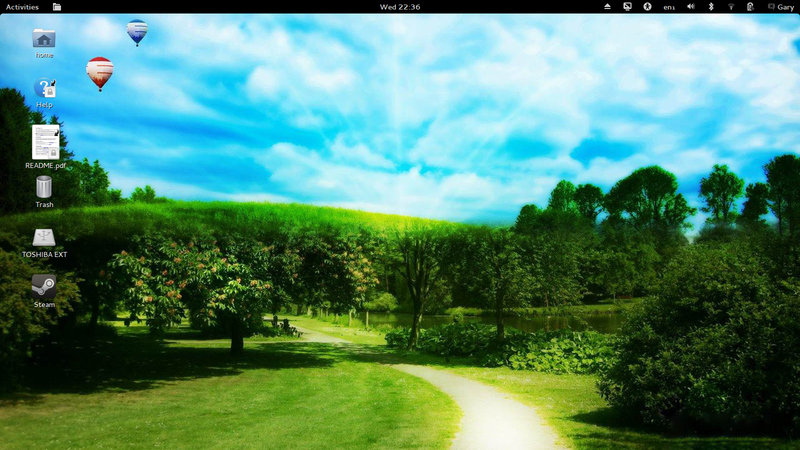 One of the desktops available at the point of logging in is the Gnome fallback desktop and the other is Cinnamon. The Cinnamon desktop is impressive and for those of you who like something a bit more traditional than Gnome it is a great alternative to have installed by default. I have been using Korora for about a week now and it has behaved well during that time. I find myself using the Gnome desktop more than Cinnamon but that is personal preference and I have spent time learning all the shortcuts for both Unity and Gnome so I find I can navigate around those desktops in a more efficient way than I can with Cinnamon. Let’s start with the bad bit. The installer. It needs to go or get a major overhaul. Previously I was too nice by suggesting that it is a case of reading the documentation and getting used to it. At the end of the day it just isn’t intuitive. The only other minor issue I found was the lag when searching for applications in the package manager. I tend to use Yum more anyway so that isn’t so much of an issue for me but if Korora is aimed at the “Average Joe” (i.e. a casual gamer who users Facebook, Twitter, writes the odd document, listens to music and watches Youtube videos) then this can be improved upon. There are of course a number of good points. As mentioned before the system appears to be very stable. Despite there being a lot of applications it doesn’t feel like a scattergun approach. Instead there appears to be a well thought out set of programs which cover most operations an average user might need. The fact that Flash works straight away is good and also the ability to listen to MP3 files is also a plus point. The inclusion of the Cinnamon desktop was a nice touch. 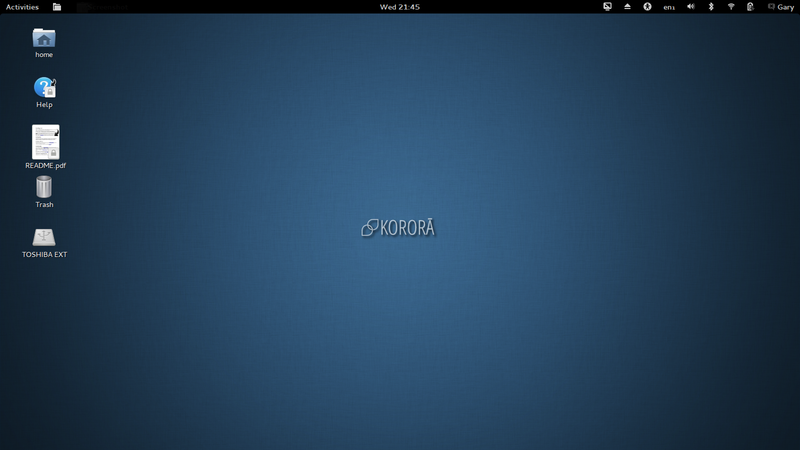 Korora easily meets its objectives of being easy to use and it does indeed work out of the box. PCLinuxOS – Is there an easier transition to Linux from Windows? You can subscribe to this blog by filling in the form in the right panel. 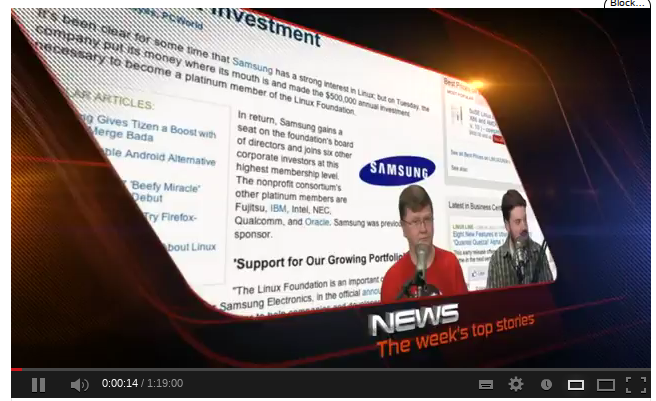 I am on twitter under the name @dailylinuxuser. So you used a picture of LAS, why? Don't get me wrong Chris and Matt are great, but you didn't say anything about them – and the picture is of their intro. This distro is pretty underwhelming, even for Fedora. I'm tired of seeing "We're a distro that *Just Works* out of the box". All of them work out of the box, just some need minor adjustments. The LAS picture just shows that Youtube is working. I guess it is safe to assume that folks of African descent don't use Linux or read about distros like Korora. I think the word Korora is Māori for, "They darker than us!" "Gnome Fan Boy"… thanks for that. I will give SnowBird a go sometime in the future. Thanks for the suggestion.